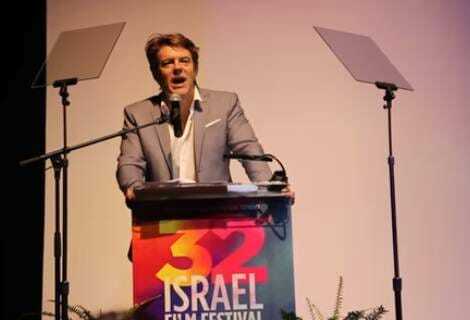 Hollywood producer Jason Blum was booed off stage at the Israeli Film Festival in Los Angeles after accusing President Trump of being a catalyst for rising antisemitism. While accepting his award at the Steve Tisch Cinema Center in Beverly Hills on Tuesday evening, the BlacKkKlansman producer threw so many digs at the president that dozens of people began to walk out in protest. As Blum ranted, Yossi Dina, an Israeli pawnbroker who starred on a reality TV show called Beverly Hills Pawn, actually approached the stage and attempted to remove him. The festival is sponsored by the Adelson Foundation, billionaire Sheldon Adelson’s charity organization. Adelson has been an outspoken supporter of President Trump. “And now I’m being physically removed, which is why Trump is not the right guy for us,” Blum said as he was kicked off the stage. Previous Previous post: CNN Accuses Sarah Sanders of Posting Doctored Video of Jim Acosta Assaulting Female Intern at Pres. Trump Press Conf.